Second Half of Senior Capstone Project for the Design, Art & Technology program at the University of the Arts. 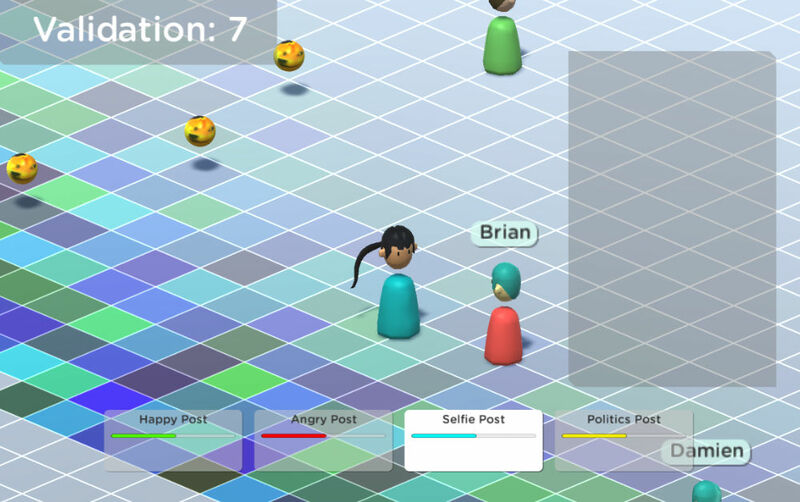 I Need Likes To Live is a social-media inspired game built in the Unity game engine, with additional assets created in Autodesk Maya. For more information about the project including a demo download link, visit ineedlkestolive.com.